Identify the existing sources of data on user behavior, including logs, data warehouses, network flow data, etc. The more data you have, the better. Integrate data from other monitoring systems, such as advanced threat management and HR customer relationship management (CRM) systems. 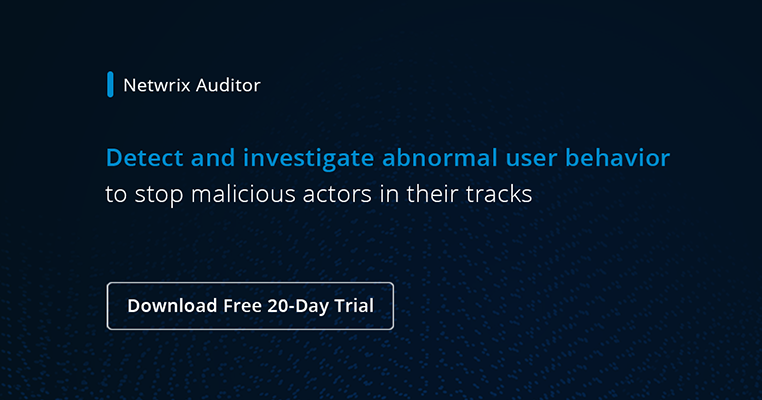 Enable Active Directory auditing to track who is doing what across your critical systems. Enable auditing for all systems that contain sensitive information, including your file servers, SharePoint, SQL servers, etc. If you are using SaaS applications, enable access and user activity logging. Track account creation and account logons, because such activity can reveal account takeovers and other attacks. Enable journaling on your email server and use e-discovery software for email flow analytics. Regularly review effective permissions and enforce a least-privilege model. Track and control your users’ internet traffic via web filtering software. Provide your UBA solution with all the data mentioned above. Fine-tune its rules, alerts, reports and thresholds to reduce noise and false-positive anomalies. Review UBA reports on anomalous activity regularly and investigate incidents promptly. Companies lack visibility into employee activity and application usage across critical IT systems. Legacy defense strategies are typically focused on the perimeter, so they fail to identify insider threats or attacks in progress within the network. Security teams are often overwhelmed by the huge volume of audit logs generated every day, increasing the risk that important actions can be missed. Most legacy security applications, such as SIEM solutions, are time-consuming to use.